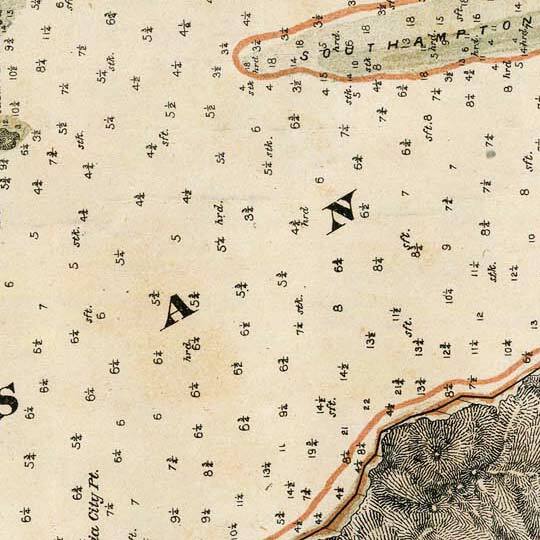 Map exhibiting the salt marsh, tide and submerged lands disposed of by the State of California in and adjacent to the bays of San Francisco and San Pablo and now subject to reclamation. This map isn't part of any series, but we have other maps of San Francisco that you might want to check out. I'm sure that some biologist on the West Coast just got some crucial piece of his/her dissertation, here... and I kindly ask him/her to comment on this map for our edification. For more map resources and imagery from this period in San Francisco's history, check out the California Historical Society's website.